Gas Boosters, Air Amplifiers, Valves, Fittings & Tubing. Do You Need More Air Pressure? boosters for the use with virtually any gas. single or double acting and two stage models. High Pressure Technologies offers over 30 years of engineering experience in providing turn-key plug & play solutions for high pressure applications for gas, liquid, and air. We are a leading supplier of high pressure equipment and specialize in distributing the maximator® range of air driven liquid pumps, air amplifiers, and gas boosters. Furthermore, Maximator has a complete line of low, medium, high and ultra-high pressure valves, fittings and tubing rated to pressures up to 150,000 psi. 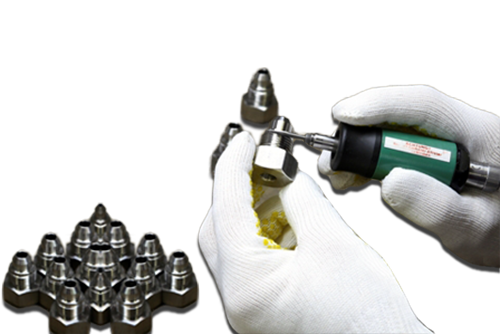 Maximator has been a Market Leader in High Pressure Equipment for over 30 years. High Pressure Technologies utilizes Maximator pumps and boosters to ensure that our customers are provided with State Of The Art Technical Know How, Quality, Reliability and a World Leading Supplier of High-Pressure Equipment. In addition, Maximator gas boosters, liquid pumps and air amplifiers provides High Pressure Technologies a comprehensive range of standard and custom systems. All air driven high pressure systems are built specific for the application ensuring that each requirement is met. 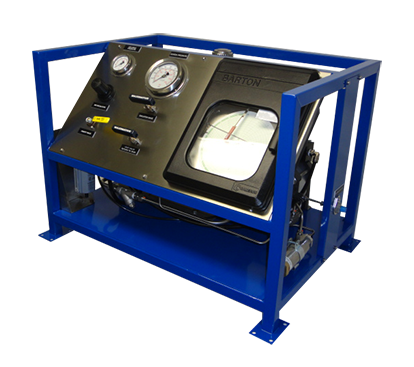 Liquid systems provided can be designed as power packs, test carts, pump skids and test benches. Gas booster systems can be used with most industrial gases commonly consisting of carbon dioxide, hydrogen, helium, oxygen and nitrogen are designed to be bottle mounted, skid mounted, cart mounted or as a bootstrap. Air amplifier systems can be skid mounted or mounted on a tank. Maximator systems are used throughout all industries covering a vast array of applications. Examples are aerospace, automotive, space, military, oil & gas, energy, petrochemical, gas manufacturer, diving, pharmaceutical, robotics, fire & safety and etcetera for applications such as gas assist injection molding, leak or pressure testing, gas cylinder charging & scavenging, accumulator charging, fluid power, water-jet cutting, boosting shop airline pressures, charging oxygen life support systems, airline ground support and many more. We Repair & Service all maximator air driven high pressure equipment and in addition we service many other types and manufacturers of air driven liquid pumps, gas boosters and air amplifiers. 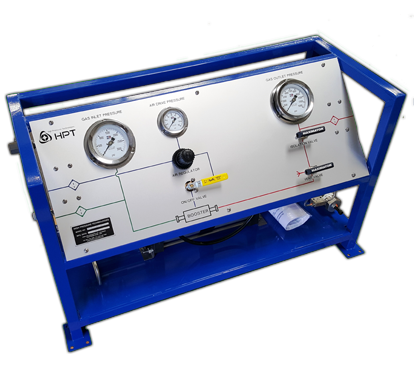 HPT also provides a rental service for our gas gooster and liquid pressure test systems. High Pressure Technologies is committed to developing long term customer relationships, providing quality products and service to each and every one of its customers. Dedicated to delivering both Superior Products and Customer Service our experienced staffs are committed to provide you with real and timely solutions. 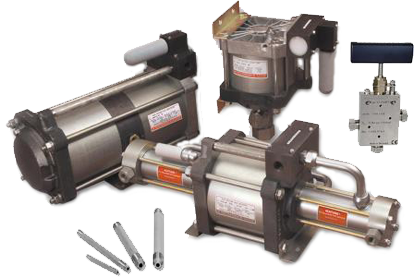 High Pressure Technologies is able to offer immediate shipment in most cases for all standard products. Air Pressure Amplifiers boost flow of air pressure at work stations and pneumatically operated machinery from 30 psi to 4,350 psi. 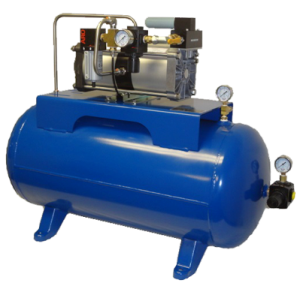 Maximator Air Driven Gas Boosters are suitable for the oil free compression of gases and air from 30 psi to 36,000 psi. High Pressure Liquid Pumps are capable to increase output pressures from 500 psi up to 100,000 psi. © Copyright 2018 All Rights Reserved. High Pressure Technologies LLC.